“The business model of the Internet is surveillance” contd. don’t just open the kimonos of their readers. 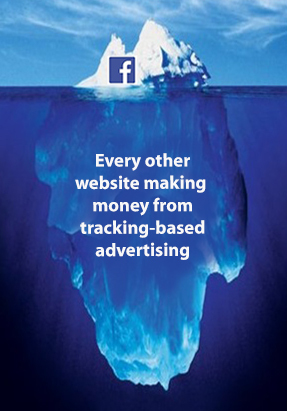 They bring people’s bare digital necks to vampires ravenous for the blood of personal data, all for the purpose of returning “interest-based” advertising to those same people. With no control by readers (beyond tracking protection which relatively few know how to use, and for which there is no one approach or experience), and damn little care or control by the publishers who bare those readers’ necks, who knows what the hell actually happens to the data? No one entity, that’s for sure. Doc points out that on reputable outfits like the New York Times writers like Zeynep have nothing to do with this endemic tracking. In such publications there probably is a functioning “Chinese Wall” between editorial and advertising. Just to drive the point home he looks at Sue Halpern’s piece in the sainted New Yorker on “Cambridge Analytica, Facebook and the Revelations of Open Secrets” and his RedMorph software finds 16 third-party trackers. (On my browser, Ghostery found 18.) The moral is, in a way, obvious: it’s a confirmation of Bruce Schneier’s original observation that “surveillance is the business model of the Internet”. Being a pedant, I would have said “of the Web”, but since many people can’t distinguish between the two, we’ll leave Bruce’s formulation stand. This entry was posted in Surveillance capitalism, Technology by jjn1. Bookmark the permalink.